Diego Godin has been declared fit for the trip to the Allianz Arena and he will marshal the best defence in Europe. 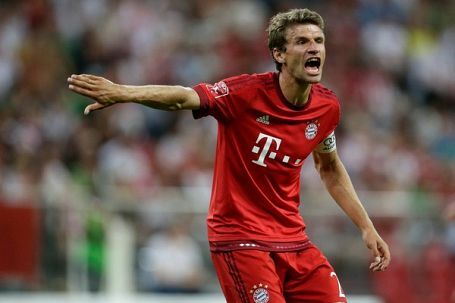 Benfica created chances at the Allianz Arena and Bayern don’t need to win to progress. 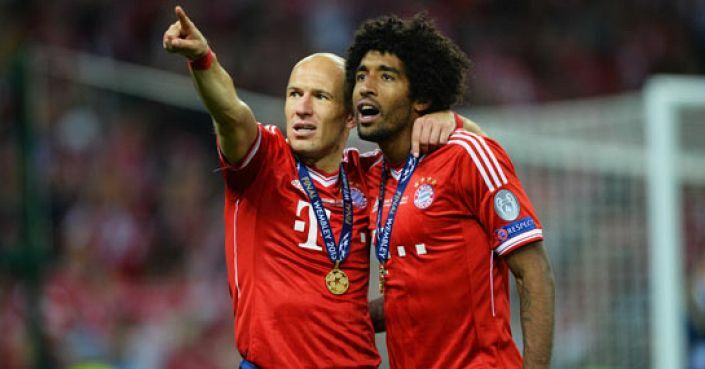 In similar situations Arsenal both won and drew away to Bayern Munich in recent seasons. Raul Bobadilla averages 5.6 shots per90min in the Europa League and has six goals. 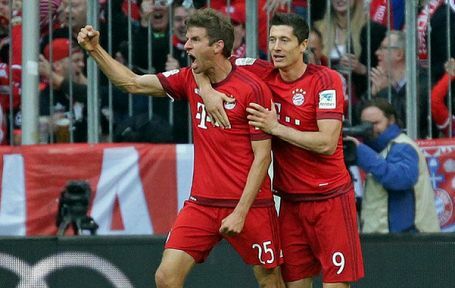 Scored against Bayern Munich at the weekend. 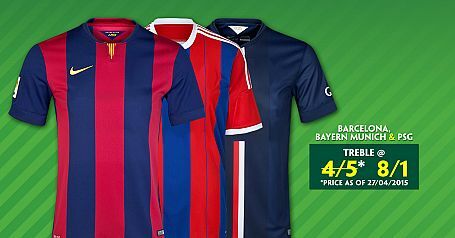 Barcelona, Bayern Munich & PSG are approximately 9/2 to all win this evening but new Paddy Power customers can get an enhanced 12/1. Opt in and place a first goal scorer bet (pre-event or in-play) on Atletico Madrid v Bayern Munich and get a first goal scorer bonus bet to use on any football match played within 7 days from being credited, up to £5. 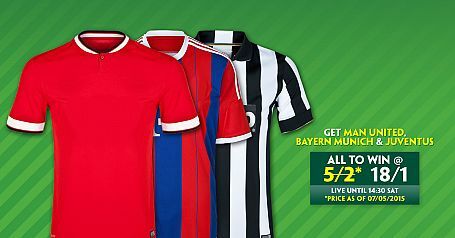 New Coral customers can get Barcelona & Bayern Munich both to win on Wednesday at an enhanced 8/1 with winnings paid as cash. 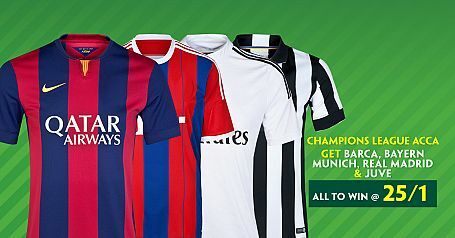 Open a new account with Paddy Power, place your first bet as a treble on Barcelona, Bayern Munich & PSG all to win and get enhanced odds of 8/1.